How Western Diets Are Making The World Sick Physician Kevin Patterson has treated patients in the Arctic, in Kandahar and on remote Pacific Islands. He says that Western ideas and the effects of urbanization are making people everywhere in the world both fatter and sicker. The science, politics and culture of what we eat. In an essay published last November in Canada's Maisonneuve journal, physician Kevin Patterson described his experiences working as an internist-intensivist at the Canadian Combat Surgical Hospital in Kandahar, Afghanistan. One detail he noticed: The Afghan soldiers, police and civilians he treated in Kandahar had radically different bodies from those of the Canadians he took care of back home. "Typical Afghan civilians and soldiers would have been 140 pounds or so as adults. And when we operated on them, what we were aware of was the absence of any fat or any adipose tissue underneath the skin," Patterson says. "Of course, when we operated on Canadians or Americans or Europeans, what was normal was to have most of the organs encased in fat. It had a visceral potency to it when you could see it directly there." In a conversation on Fresh Air, Patterson tells Terry Gross that the effects of urbanization are making people everywhere in the world both fatter and sicker. "Type 2 diabetes historically didn't exist, only 70 or 80 years ago," says Patterson. "And what's driven it, of course, is this rise in obesity, especially the accumulation of abdominal fat. That fat induces changes in our receptors that cells have for insulin. Basically, it makes them numb to the effect of insulin." For a long time, the human body can compensate — the pancreas secretes even larger amounts of insulin, which regulates blood sugar levels. But over time, the pancreas begins to fail to secrete enough insulin, and that is when diabetes develops. He explains that the increase in abdominal fat has driven the epidemic of diabetes over the last 40 years in the developed world — and that he's now seeing similar patterns in undeveloped regions that have adapted Western eating patterns. Patterson explains that in his Canadian practice, where he takes care of indigenous populations near the Arctic Circle, there is a marked increase in the number of diabetic patients he sees. "The traditional Inuit culture of relentless motion and a traditional diet consisting mainly of caribou, Arctic char, whale and seal has been abandoned over this period of time for Kentucky Fried Chicken and processed food and living a life very similar to ours," he says. "[They're] spending a lot of time in front of a glowing screen." Part of the problem, says Patterson, is that it's so much cheaper for processed food to be flown into the Arctic Circle than fresh food. "There's no roads or rail access to any of those communities," he says. "So a 4 liter jug of milk can cost you $10 or $11. But there's a very clear parallel between that and the inner city. In poorer neighborhoods in North American cities, fresh food is either not available or extremely expensive compared to — on a calorie-by-calorie basis — compared to fast food available on every street corner." And the diabetes epidemic correlates to a strain on health care systems around the globe, says Patterson. "No country in the world has the resources to continue to treat diabetics the way that they're being treated now, if the prevalence rates increase at the rates that they're increasing for much longer," he says. "I worked in Saipan, which is in the Marianas Island in the Pacific, and there, the dialysis population was increasing at about 18 percent a year, all as a consequence of diabetes and acculturation — exactly the same process as what's going on with the Inuit. "When you look at the curves, it's clear how unsustainable it is. In 20 or 30 years, everybody on that island will either be a dialysis patient or a dialysis nurse unless something fundamental is done about the rise in diabetes. That's no less true in Canada and in Samoa and Hawaii, and even in Omaha and Toronto. We all have exactly the same problem when we plot out those curves." 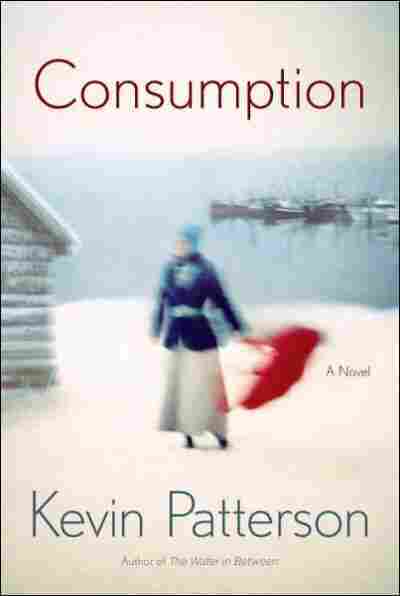 Patterson fictionalized his experiences working with the Inuit in Canada in his novel, Consumption, about an Inuit woman who spends her teen years in a sanitarium. 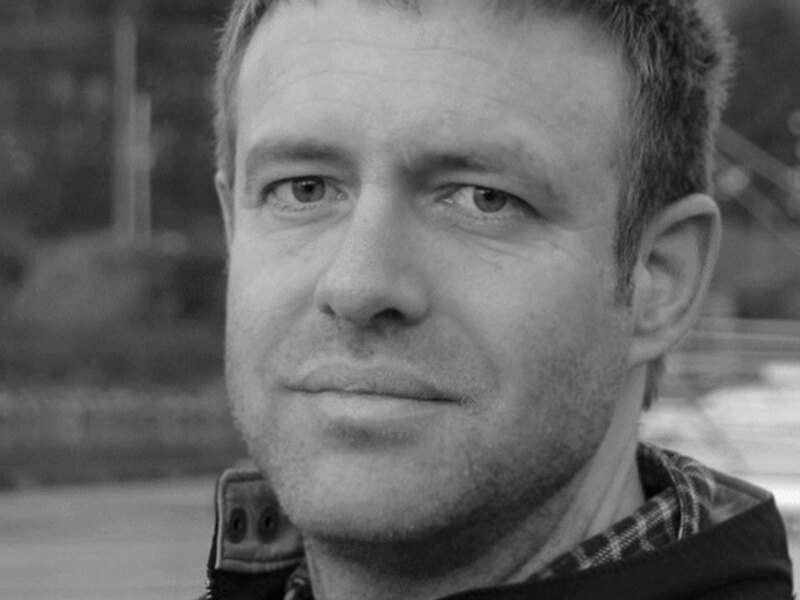 His other books include Outside the Wire: The War in Afghanistan in the Words of its Participants and the short story collection Country of Cold, which won the Rogers Writers' Trust Fiction Prize in 2003. Robertson hated what he had been called here to do, and he hated the place where he had to do it. Layers and layers of gray Toronto skyline stretched out from the meeting room windows, devoid of any contour or texture except asphalt, yellow haze, and carefully aligned rows of nursery-planted and regularly replaced trees. He had ﬂown through here in 1967 when he had immigrated, and had spent a week staying in a boardinghouse on Bathurst Street. In each of the interviews he had had with immigration ofﬁcials, he was advised to stay on in the city— it was where the future lay, the jobs, the careers. Robertson had looked at these men and wondered how they could be so daft about their own country. Toronto reminded him of nothing so much as the postwar cities of northern England: stolid and sad and restrained, bars empty­ing at eleven with relief. He couldn’t wait to get out of there. It was a different place now, more different each time he returned. In the 1970s, the place had exploded with immigration. There was more color and far less melancholy in the city, and the scent of rotis and curries and jerked goat hung in the air. As he had ridden in the taxi from the airport, Robertson found himself resisting his own reappraisal of the place and realized that he had become, in an important way, old. As if his interaction with his son hadn’t already made that point. But more pressing to him was his con­cern about Marie. She had been his favorite for years. In her difﬁdence and solitary habits he recognized himself as a boy, and he saw for her a future that would take her far from her home, just as he had been pro­pelled from his. He hoped it wasn’t evident to Pauloosie and Justine how he felt about their little sister, but at the same time he knew that it probably was. The matter of favorites in families is complicated. In this instance, as usual, the favorite was the one who needed it the most. Pauloosie had been asserting his self-sufﬁciency since before he was born and Justine bore down on her own life like a train on a track. On the walk from his hotel that morning he had thought about how elusive Pauloosie had become. When the boy was still young, Robert­son had hoped that his son would continue to draw him into his wife’s culture, and he would draw his son into his own. Instead, especially since the stillbirth, the two became steadily more mysterious to each other. Just as Robertson’s own father had become to him, until Robert­son had ebbed out of his birth family like the tide, impassive in the face of any special effort by his old man at Christmas or when he had come home from the pub especially drunk and affectionate. Resentment is inherited as reliably as an accent. And Robertson’s decision to leave the country entirely had been informed by this insight. And if he lost his doltish-sounding Midlands accent in the process, then so much the better. Pauloosie’s speech had been formed only in the Arctic and knew nothing of northern England except for his rare habit of ending declaratory sentences with “what?” But the resentment had come through the line as immutably as his blood type. On arriving in the ﬁnanciers’ ofﬁces, Robertson had been greeted by a South African geologist and an engineer—he had met these two in Yellowknife a month earlier and it was they who had asked him to come to Toronto. Their names were Van Rensburg and De Kock, and they were both in their early thirties and looked uncomfortable in their suits and new shoes. As they shook hands with him, he was reassured by their calloused hands. They showed him into a small ofﬁce, where they set­tled him in and offered coffee. As he stirred sugar into his cup, the two of them looked at each other anxiously. “So perhaps we should start with you two telling me what you want me to do here,” he said. De Kock shrugged, as if to suggest there was little he could do about that. “So whatever is to be done would have to be thought out well,” Van Rensburg ventured, leaning forward in his chair. “If the mine goes ahead it could be very rewarding for your group. For you,” De Kock said. “Excellent.” All three men looked at one another. “Let’s join the others,” Van Rensburg said. The two men showed him to an empty meeting room. Through the window, the largely residential parts of Toronto stretched out to the north in all their green and leafy expanse. He saw a cyclist making her way down Yonge Street. To the east he could just glimpse Lake Ontario, which, in its domesticated ease, couldn’t have looked less like Hudson Bay if it had been ﬁlled with lime-ﬂavored gelatin. The ﬁnanciers ﬁled in, followed by another knot of engineers and geologists. They all sat down, and Van Rensburg introduced Robertson to the group. He smiled at each of the men in turn and watched them assessing him, taking in his cheap suit and wondering what to make of it, given who he was, where he was from. De Kock began the presen­tation. There was a ﬂip chart and slides of the tundra, graphs of dia­mond prices, summaries of cost estimates from Siberian diamond mines. The proposed site was located a hundred kilometers northwest of Rankin Inlet. The land there had been sparsely populated even by the standards of the Inuit prior to contact, then when the settlements were built it had been essentially cleared of humanity. The Back River domi­nated this landscape and ran heavily with char in the spring and, four weeks later, the autumn; but the forage was sparse and the tuktu smaller and less numerous than in other areas of the tundra. The Net­silkmiut, who had once lived along the banks of the Back River, had been drawn ﬁrst to the sea and were now folded into the richer and more populous places around them. The people who had dwelt in the area of the mine had been dispersed among several different communi­ties—Repulse Bay, Baker Lake, Rankin Inlet. There had been work done by anthropologists on these people, but what mattered to the miners was that they were hard to identify, and did not speak with one voice. Robertson revised his estimation of Van Rensburg’s thorough­ness: these people were not amateurs. The geologist sat down. 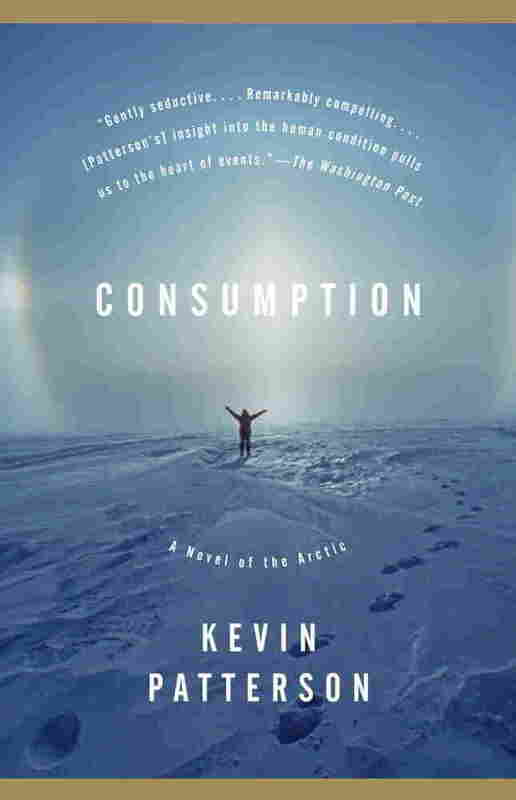 Excerpted from Consumption by Kevin Patterson. Copyright 2008 by Kevin Patterson. Excerpted by permission of Anchor.